Your patients are the cornerstone of your practice, give them the best possible experience. Find out how today. Simply enter your details below and a member of our team will contact you shortly. With MyHealth1st, your practice can function more efficiently in today’s digital age, allowing you to focus on what’s important, and attract more patients to you. 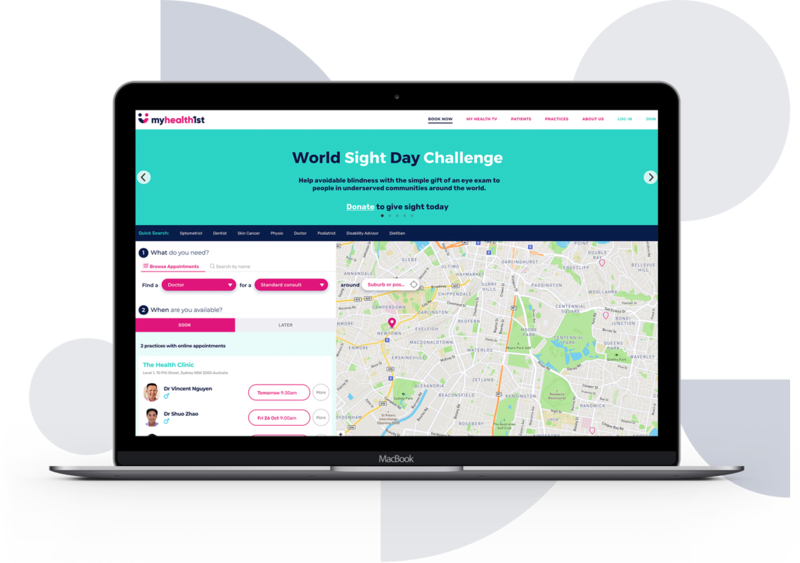 Thousands of optometrists across New Zealand and Australia have already discovered the MyHealth1st difference. MyHealth1st makes caring for your patients more efficient by reducing your vacant appointment slots and so much more. It's the online platform to connect, engage and manage the entire patient journey. 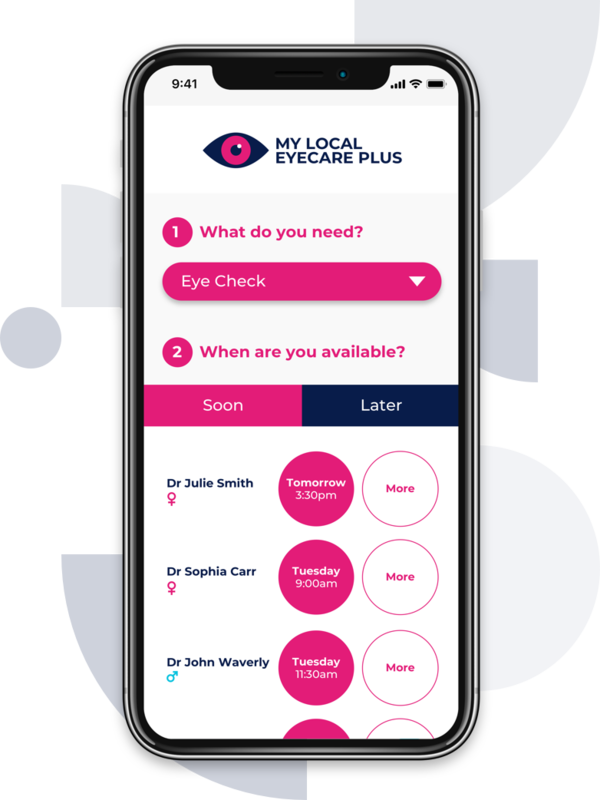 MyHealth1st’s OnlineAppointments is an online healthcare search and appointment booking platform that is already used by over 60% of independent optometry practices across Australia. 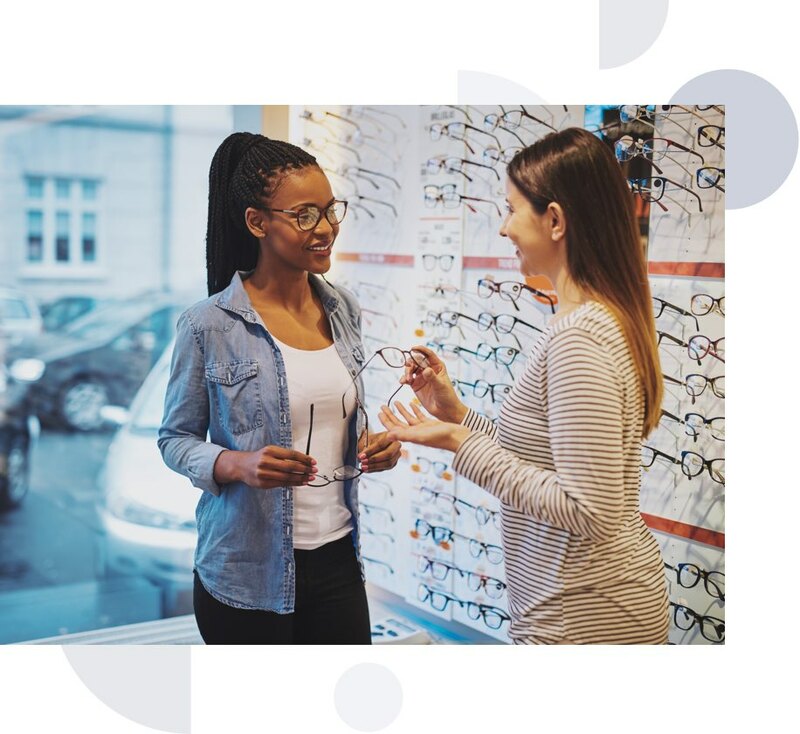 Convenient and easy to use, OnlineAppointments enables new customers to connect with you, and helps strengthen the relationship you have with your existing customers. Leveraging MyHealth1st’s smart digital recall platform and exploiting SMS in a unique way, EasyRecall saves you time and money, and helps increase your conversion rates. 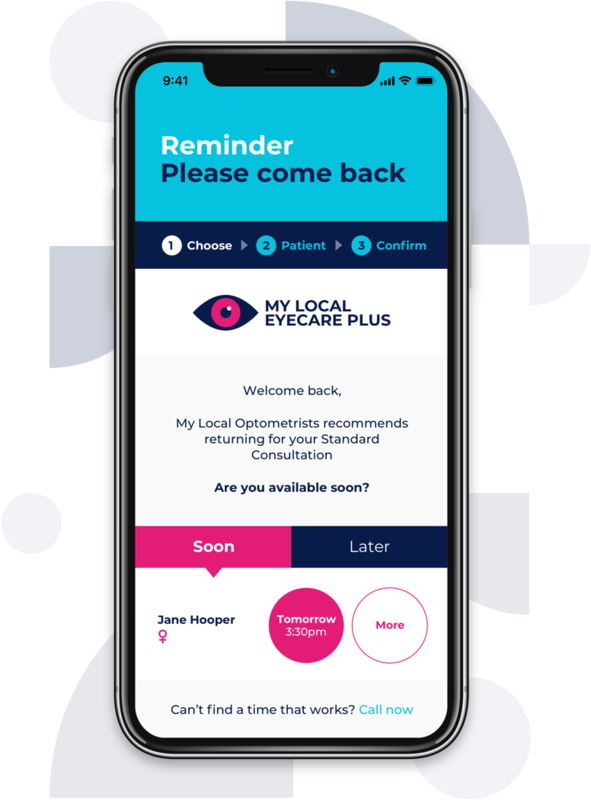 EasyRecall is automated and digital, and gives your customers an easier way to choose their appointment times and update their contact details. 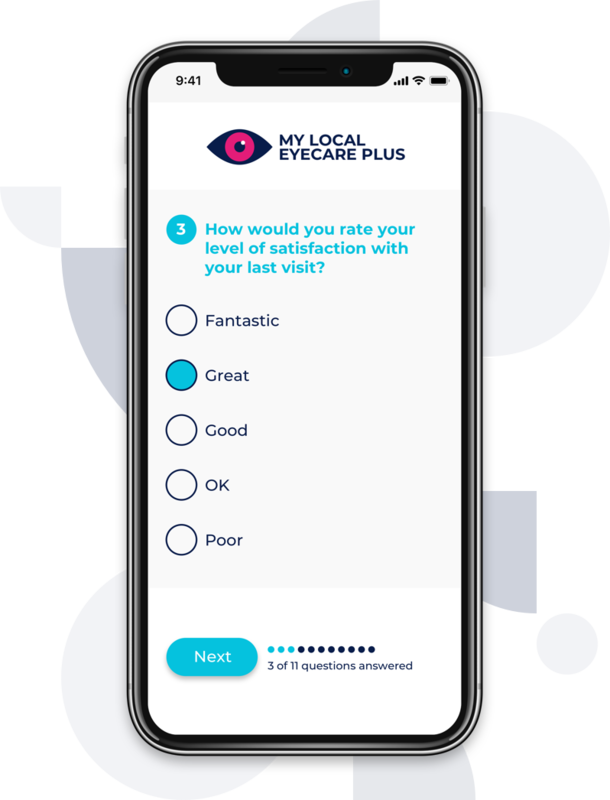 EasyFeedback gives you the tools to engage with your patients after the consultation. You can send promotions, customised surveys and even gift vouchers, enabling you to measure awareness, tailor your business to their needs and increase sales. Since 2012, MyHealth1st has been revolutionising healthcare across New Zealand and Australia. We are committed to improving connectivity and continuity of care between practice and patient. Our digital solutions help practices increase bookings, improve retention, and enhance efficiency and profitability. More importantly though, MyHealth1st gives practices the power to better connect with their patients at every stage of the healthcare journey.